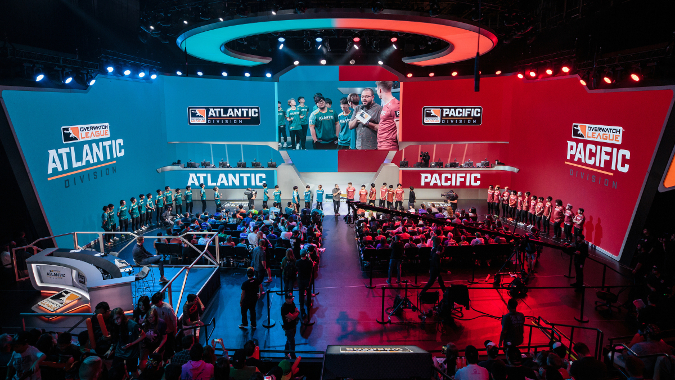 Back in August, our own Tyler Colp wrote a post about stress in the Overwatch League. I think sometimes those of us who just watch the games can lose sight of the fact that this is a job — one that demands a lot of time and energy, and one which can be extremely demanding on the players. The months spent living away from your actual life definitely take a toll, even when it playing a video game is the focus. Now, Blizzard has posted the schedule for 2019, and it’s one that’s a lot friendlier to the players. There are bigger breaks, which will allow players to return home more often — a big deal when a lot of League teams are composed of players from all around the world — as well as less play per individual team. The latter is thanks to four new teams per division, for a grand total of twenty teams (up from twelve in the first season). What’s really great about the flex-time scheduling changes is, it will require less grueling travel time and will put less demand on the players. Again, this is pretty great considering we saw players actually leave the League last year over the burnout induced by the demands of the season. Also, in 2019 the All-Star break will take place in the middle of the season, giving players a longer gap between Stages 2 and 3. This should absolutely help with player burnout and stress, and overall it’s a very encouraging response to the concerns brought up last season. Those concerns were regarding the effects of the way League play was structured on the players and their mental and physical well-being. We’re also going to see more stage finals next season, which will help select the top seeds for the playoffs. The way the playoffs are going to work, we’ll see the champions of each division, plus the next four teams with highest standings. But after that, there will be a tournament after Stage 4 with the seventh through twelfth place teams in the League. The top two teams out of this tournament will also get a place in the playoffs, meaning that we may see some underdogs pull off some surprises before it’s all said and done. It’s good to see the League take the opportunity of its eight new teams to make the League less of a strain on their players, and it’ll be exciting to see if any team that wins the play-in tournament manages to upset some favorites in 2019.